What it’s about: A badass librarian has to stop her evil nemesis before he destroys the library. What made me pick it up: I’m a huge fan of this fantasy series. It is extremely entertaining and has a great set of characters. I’ve read every book in the series and I look forward to more in the future. My favorite things: This is was as fun as the first two! I enjoy the author’s imagination within the world she has built. I also am endlessly entertained by the characters as well as engaged by the relationships unfolding between them. And let’s be honest, I am jazzed about a book with an empowered female librarian for a main character. Who it’s great for: Fantasy fans. Librarians. Steampunk enthusiasts. Library lovers. Admirers of strong female leads. What it’s about: A blind teen boy gets the opportunity to gain sight thanks to a new medical procedure and how it changes his life for better and worse. What made me pick it up: I’m a huge fan of Josh’s. His memoir We Should Hang Out Sometime was such a heartfelt, engaging read (or listen, I guess, since I listened to it). And he does these awesome videos on the interwebs. Plus he’s from Virginia, where I now live, so heyyyy! Also, this cover is so engaging. I’d heard about this book ages ago and when I saw a reminder about it at the end of one of his videos I went online and checked it right out. Thanks, OverDrive! My favorite things: This is Sundquist’s debut novel which makes it all the more impressive. It is top notch YA and I really enjoyed the John Green-ness of everything about this book. 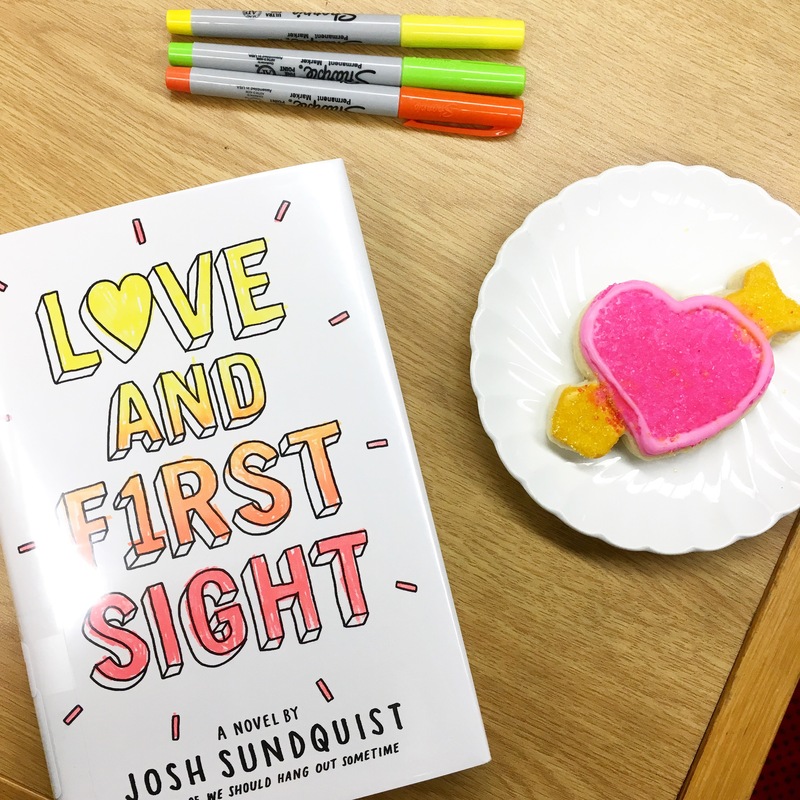 It’s got lovable misfits that find each other in the abyss of high school, an impromptu road trip, a truly lovely confusing crush/friend situation, and a health related element that is strongly reminiscent of The Fault in Our Stars (although not as sad, I promise!). I appreciated the supportive but still annoying parent relationship and the tough but supportive teacher relationships the main character has. It is such an interesting take on what makes us different makes us beautiful. Who it’s great for: Teens. Adults. Anyone who feels other or invisible, especially in high school. Readers who want to be uplifted by a great story. Fans of John Green because I can’t say enough that this is an excellent read alike for Paper Towns or An Abundance of Katherines or that other one I already mentioned. Really, just read them all. All of the books. What else it reminded me of: Elizabeth Moon’s The Speed of Dark and the movie Shallow Hal.